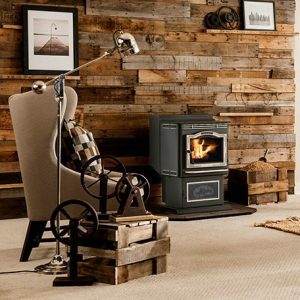 The P43 packs advanced engineering in a small pellet stove package. Use this alternative heating option to supplement your heat, reduce your monthly heating bills, and embrace the power of the pellet. These efficient, auto ignition pellet stoves are good for your home, and great for Mother Nature. Get cutting-edge technology and American-made quality in the compact, powerful P43 from Harman.